Frames – A High Mass Test is performed on four samples. A 500 gm pointed projectile is dropped from a height of 130 cm (51.2 in). No parts or fragments of the protector can contact the eye of the headform. No failures are allowed. Twenty samples are tested with a High Velocity Test. Here, the item is a target for a quarter-inch steel ball shot at 150 feet/second for spectacles, 250 feet/second for goggles, 300 feet/second for face shields. No contact with the headform is allowed, nor can any parts or fragments be ejected. No failures are allowed. Pyramex safety tests were done similarly and the results showed they were rated among the top. 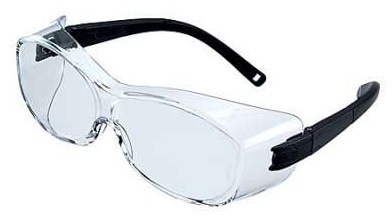 Lenses – There are two levels of protection for safety glasses–Basic Impact and High Impact. To pass a Basic Impact Test, the lens must resist the impact of a 1 inch steel ball dropped from a height of 50 inches. The High Impact lens standard means the lens must pass the High Velocity and High Mass Tests we mentioned above. Plastic lenses are also required to resist the impact of a weighted (44 gm) needle dropped from 50 inches. The lens mustn’t fracture or be penetrated. All Basic Impact lenses must be at least 3 mm. thick. High Impact lenses must be at least 2 mm. thick. Edge safety glasses rates their products with similar tests and found they were in clear competition with some of the best, like Pyramex. Corrosion – Metal parts are boiled in a 10% solution of salt water for 15 minutes, then dunked in the same solution at room temperature before being allowed to dry for 24 hours. They’re then rinsed in lukewarm water. Part function cannot be impaired. Next articleWhat are Polycarbonate Lenses?